The recent deaths of Hugh Hefner, Anne Jeffreys and other celebrities probably overshadowed the recent passing of David Saunders. It was Saunders who brought the comic-strip cowboy hero Red Ryder to life in countless public appearances, ranging from Ed Sullivan’s television show to the New Mexico State Fair. 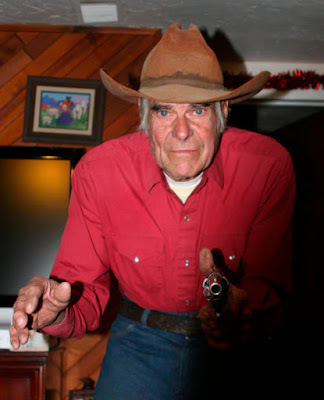 Saunders died September 6 at the age of 84, at an Albuquerque rehabilitation center. Saunders was born in Indiana in 1933 but moved to Albuquerque with his family when he was still young. 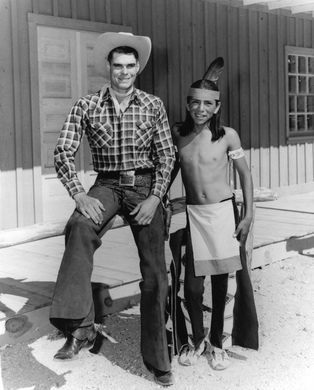 A significant turning point in his life happened when he met Fred Harman, creator of “Red Ryder,” a newspaper comic strip about a good-guy Colorado rancher (Ryder) and his young American Indian sidekick, Little Beaver. 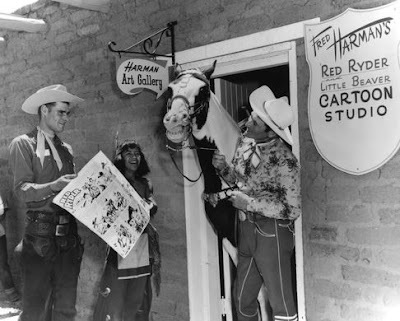 Saunders struck a friendship with the comic artist and when Harman started planning an Old West-themed amusement park for Albuquerque, he asked Saunders to portray Red Ryder. 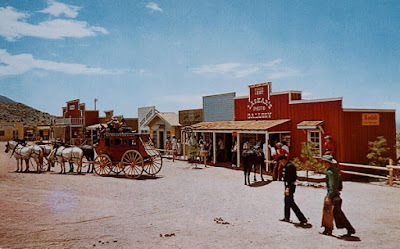 When the park, called Little Beaver Town, opened in the summer of 1961, on a 44-acre site, Saunders became the gun-slinging hero known to millions of radio listeners, theater goers and readers of the newspaper comic strip.